Besides 'Bahubali' helmer SS Rajamouli, another filmmaker Jagarlamudi Krish and art director Anand Sai will also be asked to chip in with his concept for Amaravati. A file photo of Andhra Pradesh chief minister N Chandrababu Naidu. Andhra Pradesh's new capital city Amaravati might take the shape of a glorified film set and live up to its sobriquet 'Bhramaravati' (an illusionary or mythical city) as chief minister N Chandrababu Naidu is now enlisting the services of yet another movie director to help design Amaravati. The chief minister has already chosen to go with foreign architects to design the core of Amaravati. But now besides 'Bahubali' helmer SS Rajamouli, another filmmaker Jagarlamudi Krish and art director Anand Sai will also be asked to chip in with his concept for the city. The state government conducted an international competition seeking designs for the capital in 2015 and picked Japan's Maki and Associates' "models" in March last. Subsequently, Maki was dumped and last month Foster and Partners of Britain was appointed as Master Architect. Top Indian architect Hafiz Contractor is partnering with Foster in designing two "iconic structures" -- the high court and the Legislature Complex -- apart from the master plan for the 900-acre core capital area. 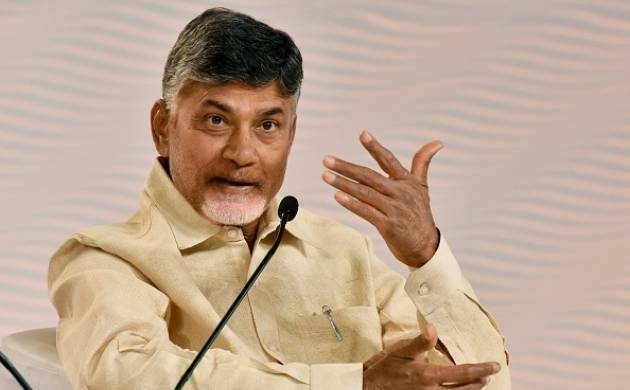 In the meantime, Naidu seemed to have been fascinated by the sets of film 'Bahubali' and himself spoke to director Rajamouli to help design Amaravati. While the AP Capital Region Development Authority (CRDA) accordingly approached Rajamouli, the chief minister has now directed it to consult Krish and Sai for necessary "inputs". Sai worked as an art director for many popular Telugu films like Indra, Badrinath, Yamadonga and is now serving the Telangana government on its ambitious Yadadri temple town project. Krish, who made many popular films in Telugu, has just released a "historical" movie on Satavahana ruler Goutami Putra Satakarni. The movie stars Nandamuri Balakrishna, Chandrababu's brother-in-law and TDP MLA, and Naidu watched the film on January 12. Ostensibly impressed by the grandeur of the film that supposedly depicts the history of Amaravati, the CM has asked the CRDA to contact Krish and Sai. "The CM has asked us to contact Krish, so we will take inputs and suggestions from him and also Sai," Municipal Administration Minister P Narayana said.